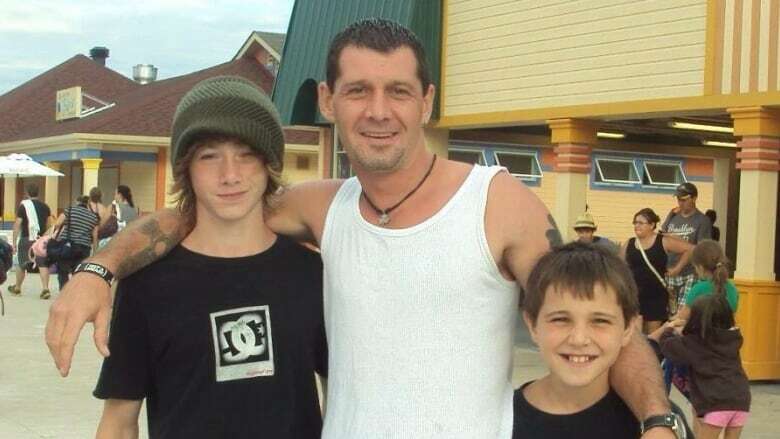 Police are looking for a white Ford pickup truck believed to be involved in the hit-and-run crash that left Andy Nevin, a father of two, dead on Sunday morning. Ottawa police are looking for a white Ford pickup truck, similar to the model pictured above, that's believed to have been involved in the hit-and-run crash that killed a cyclist early Sunday morning. (Ottawa police)The truck is described as a 2004-2006 white Ford F-250 or F-350. It would be showing damage on the passenger side of the front end, police said in a media release issued Monday. Nevin, 39, was cycling from his family's new home when he was struck near the intersection of Leitrim and Albion roads just before 6 a.m. Sunday, his widow Nadia Robinson said. He was heading to the family's old home on Patola Private, also in south Ottawa, to clean and finish renovations, Robinson said. Nevin was a soccer dad and worked in landscaping, she said. "He was a very proud daddy and did not deserve to go so young and so pointless," she wrote on Facebook early Monday. 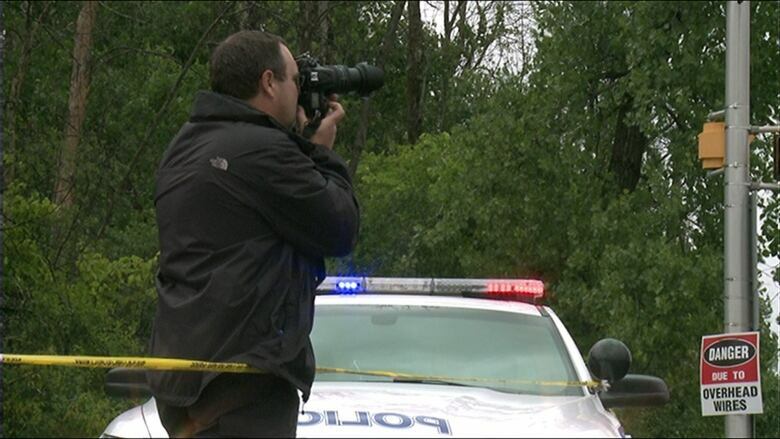 Ottawa police investigators analyzed the crash scene on Sunday and continue to search for the driver. (CBC)"I will do my best to make sure your boys know how much you loved them." Police continue to search for the driver of the truck that struck Nevin and are also pleading for the driver to come forward voluntarily. Traffic cameras in the area might help the investigation, police said. Nevin and the truck were both heading east on Leitrim Road at the time of the crash. Paramedics said they arrived early Sunday morning to find the cyclist in cardiac arrest after suffering from traumatic, blunt-force injuries. He was later pronounced dead at hospital. Witnesses or anyone who saw the truck with fresh damage on its front end early Sunday morning is asked to call the Ottawa police collision investigation unit at 613-236-1222, ext. 2481, or phone Crime Stoppers at 613-233-8477(TIPS), toll free at 1-800-222-8477 and online here.